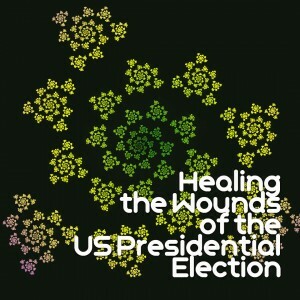 This call featured meditation, visualization, shamanic drumming, Tibetan Singing bowl sound healing (lots of it, particularly bowls to activate and heal the throat, heart, sacral, and root chakras), lots of emotional release, and even crystal energies to help us heal from the profoundly disturbing tenor of this election cycle. I really want to hear and witness the shifts that you experienced and the messages that came through to you during this healing. That’s what the group is for. This is not a place to offer help unless it’s explicitly asked for; just witnessing and holding space is what’s called for here. And once you’ve listened, I would hope that you would invite others whom you know to be dealing with this to join the call. People do need to register, especially to be added to the private group, so thank you for sending your friends, neighbors, co-workers, mothers, sisters, and whomever in your life needs to release this energy to the registration page so that I can interact with them afterwards. Just sending the link to the recording disconnects an esssential circuit. Even though this is “just” (pfft! healing isn’t lessened by space or time) a replay, you’ll want to set yourself up for maximum healing by listening from a quiet, comfortable place. Set sacred space (you can do this with a simple intention, or just by lighting a candle), shut all the other browser windows, and set your phone to “do not disturb.” Remember that the more present you can be for this recording, the more you’ll release and the freer you’ll feel. Looking forward to adding you to the special, sacred group.